Forget St. Patrick's Day, we're celebrating St. Patrick McGoohan's Day! 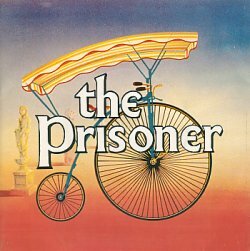 The author of the cult TV series The Prisoner, Patrick "Number 6" McGoohan took a stand against conformity in this surreal allegory of a nameless spy kidnapped to a resort prison island. Today we hear music from the series plus music inspired by it, with ample discussion of the show's meaning and impact on today's culture.